One thing that was immediately striking coming out of the first trailer for Alejandro Gonzalez Iñárritu’s period drama The Revenant was its stark, visceral visual style. 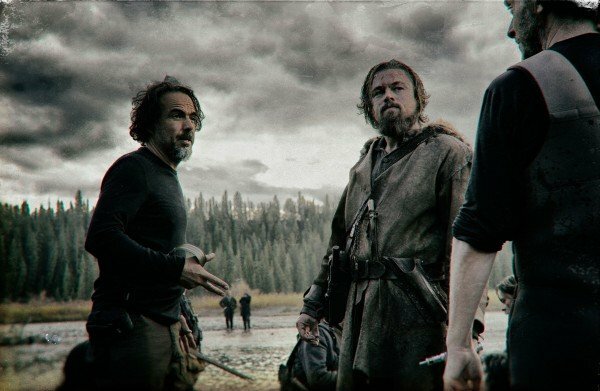 To capture the aura and feel of the American wilderness, the production has shifted from Canada to the tip of Argentina all in the search of snow, and over the course of the shoot, it’s been revealed that Iñárritu and his crew encountered one issue after the other. In an expansive piece by The Hollywood Reporter, the outlet has included interviews with numerous members of the project from both sides of the camera, with one going so far as to describe the experience as “a living hell.” New Regency President and CEO Brad Weston admitted that the weather proved to be a cruel mistress, forcing the studio to constantly reschedule specific scenes. This resulted in a prolonged shoot, and it was one that resulted in Tom Hardy pulling out of David Ayer’s Suicide Squad to compensate. Though the initial trailer impressed with its beautiful, haunting cinematography, it’s understood that Iñárritu is yet to shoot an ending for The Revenant. Once again, it was the weather that forced the Birdman filmmaker to reshuffle his deck of cards, given that snowy landscapes serve as an important backdrop for the film’s final scenes and, well, the snow proved to be an inconvenience by melting on the eleventh hour. With a schedule spiralling out of control and an overblown budget, many raised an eyebrow at Iñárritu’s method of approach, though Weston assured that the auter’s vision is irrefutably worth going the extra mile for. Leonardo DiCaprio will assume the role of 19th century explorer Hugh Glass when The Revenant opens on Christmas Day.